The huge island nation is facing the largest infrastructure project in its history. Australia is vast. It's about the same size as the US, but its population is less than 8% that of the US. Low population density makes commercial broadband development a challenge in many places. Despite boasting one of the world's strongest economies, Australia's population is forced to endure some of the slowest Internet speeds, and many rural areas of the country have little or no Internet access. To tackle the problem, the Australian government proposed building a national broadband network (NBN) that would bring fast Internet access to all residents across the country. But three years into construction, the country's largest public-infrastructure project had fallen far behind schedule and was on track to go billions of dollars over budget. In October 2013, Australia's NBN hired BCG to answer the question, "Is there a better way?" The project was more than challenging: we needed to deliver a new strategy before year's end. Assembling a global team of more than 30 BCG professionals—including experts in geoanalytics, advanced optimization, construction, and five different broadband technologies—we devised complex models to evaluate the quickest and least expensive way to launch or expand broadband service to individual homes and businesses in more than 60,000 distinct distribution areas across the country. Our analysis showed that Australia could save taxpayers approximately AU$30 billion and four years of construction time if NBN could be flexible in the deployment of a range of technologies (cable, fiber-to-the-premises, fiber-to-the-node using the existing copper network "last mile," fiber-to-the-distribution-point, and fixed wireless solutions) rather than relying almost entirely on a fiber-to-the-premises solution, which had been the government's original plan. The new strategy will enable Australia to complete the NBN by 2020 and accelerate broadband rollout to many of the nation's poorly served urban, rural, and remote bush regions. Dorothee works in BCG's Sydney office and is an active member of our Technology, Media & Telecommunications practice area. Once a consultant on this project, Dorothee is now a project leader. 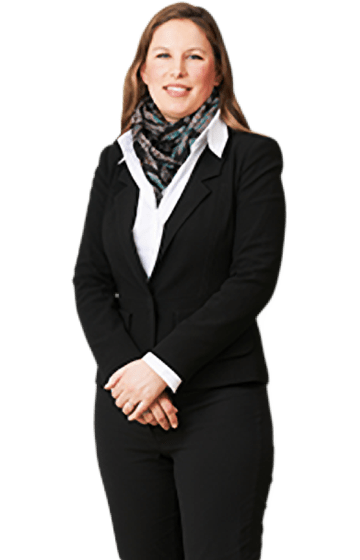 She has an MBA from the Australian Graduate School of Management, University of New South Wales, and a master’s equivalent degree (Diplom-Kulturwirt) in commerce and arts from the University of Passau. Q: What was your role on this project? A: Broadband cable was a vital component of this project, and I have quite a bit of experience working with cable operators in Europe. Early on, we asked ourselves, "What if we could leverage the existing cable networks, rather than running fiber to every single home?" I was in charge of that analysis—what it would cost, how much time it would take. Our goal was to deliver the best performance at the lowest cost to Australian taxpayers. Q: Sounds complex. What did that analysis involve? A: You have to understand the costs at a really deep level—right down to how many meters of cable it takes and what it will cost to dig the trench—for every home and business. And my expertise was just cable. We had experts, including BCG consultants from Switzerland, Dubai, Belgium, and the US, performing the same kind of analysis for every technology we were evaluating. Q: How could you accomplish so much in such a short time? A: It was an enormous project, involving huge amounts of data. But each of us knew exactly what we needed to do, and we interacted continually. The experience taught me a lot about how to break down a complex project into definable parts and how to stay focused—under immense scrutiny. I gained confidence in my ability to manage and courage to make important decisions. In fact, I’ve since been promoted to project leader at BCG. 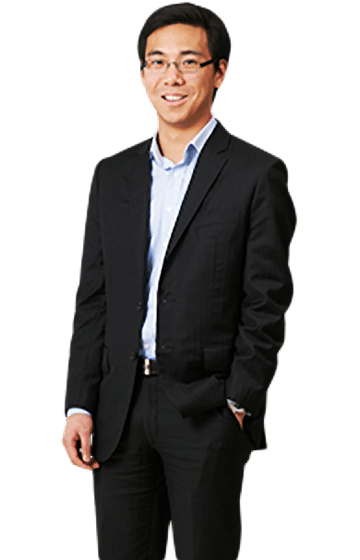 Alan joined BCG in 2012 and is a junior consultant in BCG's Sydney office. Alan has a bachelor of commerce/bachelor of law degree from the University of New South Wales. A: There were 10 or 15 of us on the modeling team. I was in charge of the financial model—a big role. Literally millions of data points with billions of dollars at stake. We analyzed six different scenarios—each representing a different rollout plan and mix of technologies—and the financial impact each would have, so the team could determine the relative financial and operating trade-offs among the scenarios. Q: What made working on this project so satisfying? A: I'm proud to have been part of a project that will have such a big impact on our country. The NBN will touch every single one of us Australians in some way or form—whether we live in a big city or in the bush. The NBN is not just there to help bring us up to par with other countries; it will provide the infrastructure for our future growth and development. Q: What attracted you to BCG after getting your commerce and law degree? A: Actually, while I was interviewing for clerkships at law firms, I was invited to talk to BCG. Frankly, I had never given consulting much thought, but I really enjoyed the case study interview and thought that kind of work could make a fantastic career. BCG allowed me to complete my summer clerkship so I was able to get a taste of what law was like, and I started at BCG the next year. Nicholas is a senior knowledge analyst on BCG's GeoAnalytics team in Boston. 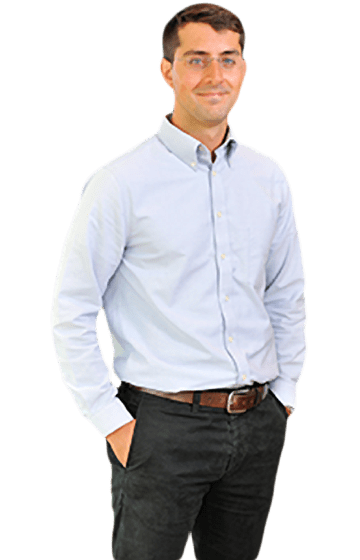 An expert in spatio-temporal analysis, Nicholas earned his PhD in geography from Arizona State University, an MA in geographic information science from Clark University, and a BA in geography from Clark University. Q: I'm sure you are frequently asked to explain what geoanalysis is and what you do. A: You're right. As a member of BCG's GeoAnalytics team, I analyze spatial problems for our clients. These are typically complex, involve huge data sets, and are very much location-driven questions, having some sort of "where" question in them. For example, network optimization for retailers—where to put stores or warehouses—or, in this instance, the location trade-offs of a particular technology. A: My primary role was to build the technology-allocation-optimization model. I was also the go-to guy for spatial data visualization, because being able to "see" a problem can really help you solve it. I could almost see the light bulb go off over people’s heads about why, for instance, a spit of land would be better served by satellite rather than fiber. Q: What did you learn from working on the project? A: The experience reinforced my understanding that you can't predetermine your path to a solution. You have to let the problem define the approach. We couldn't just say, "We have a one-size-fits-all hammer, let's find some nails." We had to build or customize many of the tools for our analysis, including the technology optimization algorithms. I'm not even sure who else could have done that sort of thing.